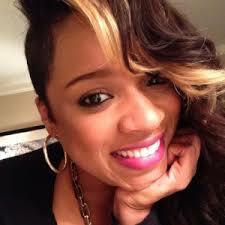 Grammy Award nominated Urban Gospel artist Kierra “Kiki” Sheard releases new album “Graceland” on Karew/Motown Records. Sheard also stars in BET’s reality show “The Sheards,” and is a judge on BET’s “Sunday Best” Gospel competition. Kierra features collaborations on “Graceland” with legendary songwriter Diane Warren (Beyonce’, Celine Dion, Whitney Houston) and songwriter/producer Harmony Samuels (Fantasia, Michelle Williams). “I’m learning…in the industry it’s about getting connected,” said the Detroit native frankly. “There is a reason you meet people. We got Diane Warren…it was so much fun to work with her. The lesson I learned is to stay humble. She was so really cool.” “Graceland” is Kierra “KiKi” Sheard’s fifth album release, and also an actress she has appeared in the movie Preacher’s Kid. You can log onto www.IAmKierraSheard.com for more information about the Urban Gospel artists new release. 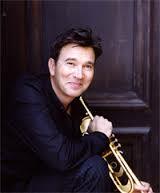 Billboard chart topper Trumpeter Rick Braun releases new project “Can You Feel It” on Artistry Music. *The chart topping Jazz trumpeter Rick Braun releases his newest project “Can You Feel It” on the Artistry Music imprint. “Can You Feel It” delivers a melting pot of Jazz styles to invoke many difference feelings to the listeners. The 1994 release took Rick to the #1 spot on Billboard’s Contemporary Jazz Chart, and was titled “Club Harlem.” It was a horn and nylon string guitar duet with Peter White. This album, “Can You Feel It,” features the help of pianist Brian Culbertson, sax man Dave Koz, and vocal help from Elliot Yamin (American Idol finalist). Speaking of vocals you get to hear Rick’s impressive singing on this project. My favorite selections on the “Can You Feel It” album release include the title track because of the lead guitar support and the funky horn style of Braun as he takes off – you can’t help but “feel it;” “Delta” another funky number; “Mallorca” is a nice Smooth Jazz cut; “Another Kind of Blue” for its slow and power driven sound, and “Silk” another Smooth Jazz selection. You can learn more about Rick Braun by logging onto his website www.RickBraun.com.